HUB TX is your one stop shop to take care of your HUB supplemental reporting and compliance needs! In this application, you can store you HUB vendor count of bids sent, proposals received, and contracts awarded. Compliance: A tool that helps higher education and government agencies stay in compliance with their HUB Supplemental Reports. Traceable Audit Records: In the event of an audit, you will have traceable records at your fingertips. Set Process and Easy to Use: Buyers and HUB Specialists have an easy process to follow and execute. Application pulls from local CMBL data and automatically fills out information to help buyers’ speed. Our soon to be added enhancements will provide even more great features to help you satisfy your HUB needs! 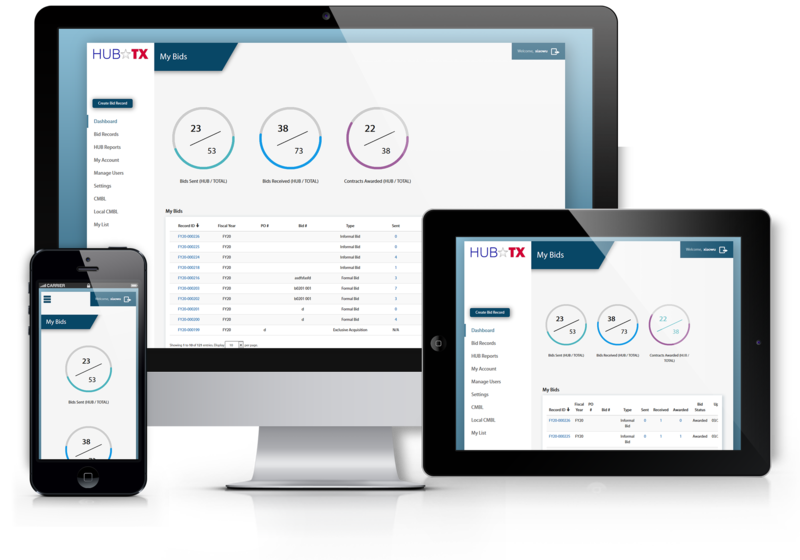 With HUB TX portal, you will never have to worry about your HUB compliance. Contact us TODAY!